March 03, 2014, 10:10 a.m.
On Sunday Secretary of State John Kerry said that recent events in Ukraine – particularly the movement of Russian troops into the Ukrainian peninsula of Crimea – are not about East versus West or the U.S. and Europe versus Russia, but about “the people of Ukraine fighting against tyranny”. Yet many commentators have refused to see it any other way, and many have turned to a battle of the wills between US President Obama and Russian President Vladimir Putin. 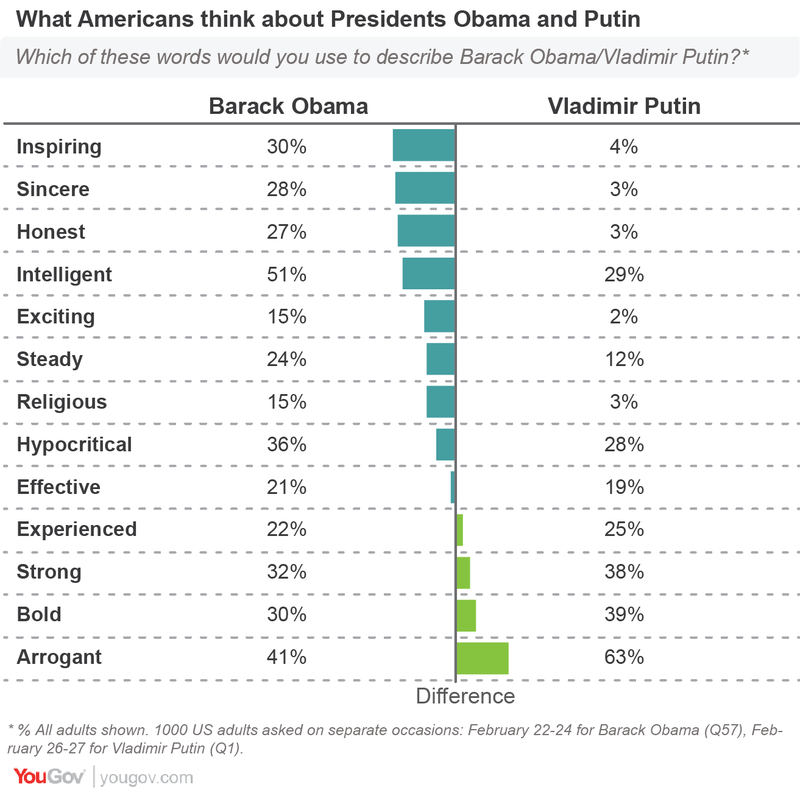 New research, conducted from February 26th-27th (before it became clear that Russia had moved troops into Ukraine), reveals that Americans generally describe their own president in more positive terms than Putin, except when it comes to the Russian President’s perceived strength and boldness. Putin is also particularly described as arrogant. Assessments of both men do differ along ideological lines, but with similar trends. 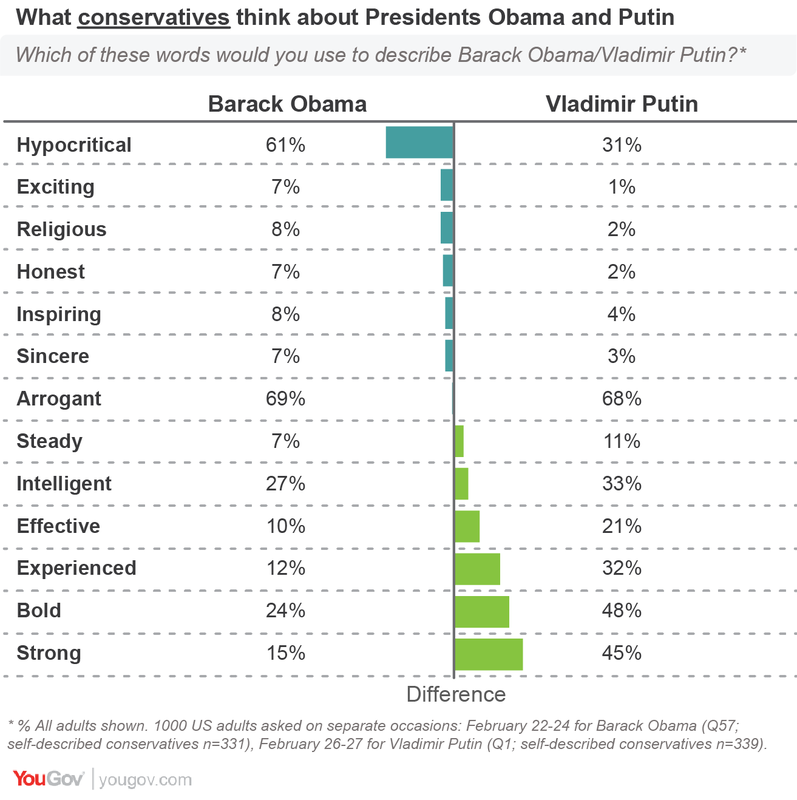 On the one hand, conservatives are much less likely to view Obama in positive terms and more likely to view Putin as effective, experienced, bold and strong. However, Putin does not even get as much credit as Obama when it comes to other positive values – like sincerity, honesty and religiosity – suggesting only a begrudging respect for Putin. It is striking Putin and Obama are not far from each other on any of these positive features. But the overall picture does not suggest conservatives are fond of Putin. Views of the two men among liberals are much more starkly divided. 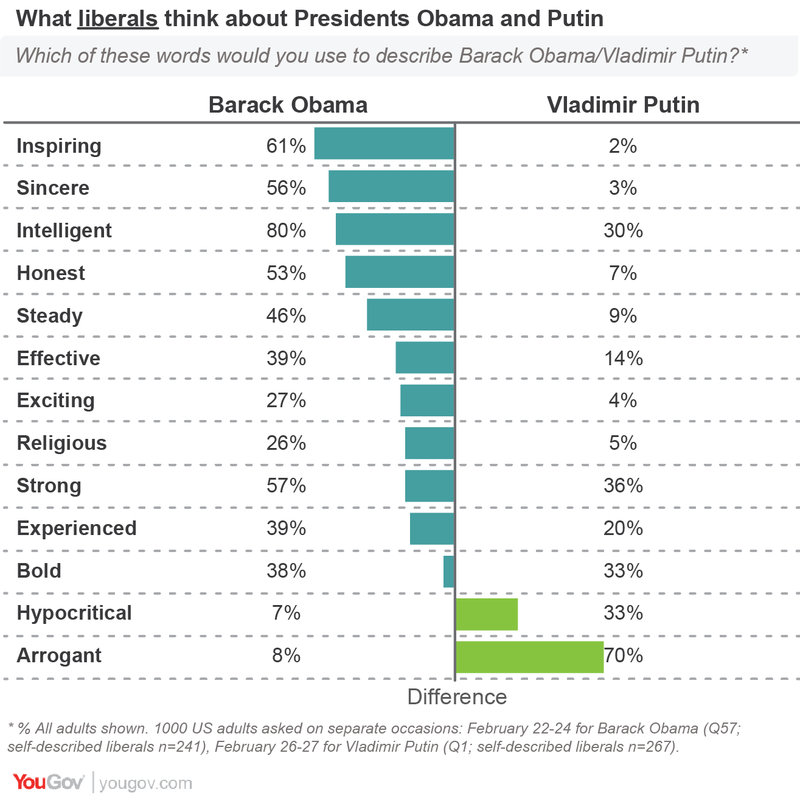 Majorities of liberals continue to see President Obama as inspiring, sincere, intelligent and honest; these words – aside from “intelligent” – are hardly used at all to describe Putin. Liberals are also far less likely than conservatives to view Obama as hypocritical and arrogant. 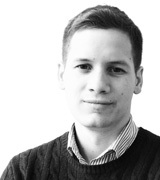 However, boldness, experience and strenth stand out as traits particularly attributed to Putin among liberals, too. YouGov has allowed Americans to weigh in on the two leaders before. In September 2013, following the Syrian chemical weapons crisis, Americans picked Putin over Obama as the most effective world leader during the crisis by a margin of two-to-one. Economist/YouGov poll results can be found here and here.